45% FIVE-YEAR GENERAL TAX REBATE! 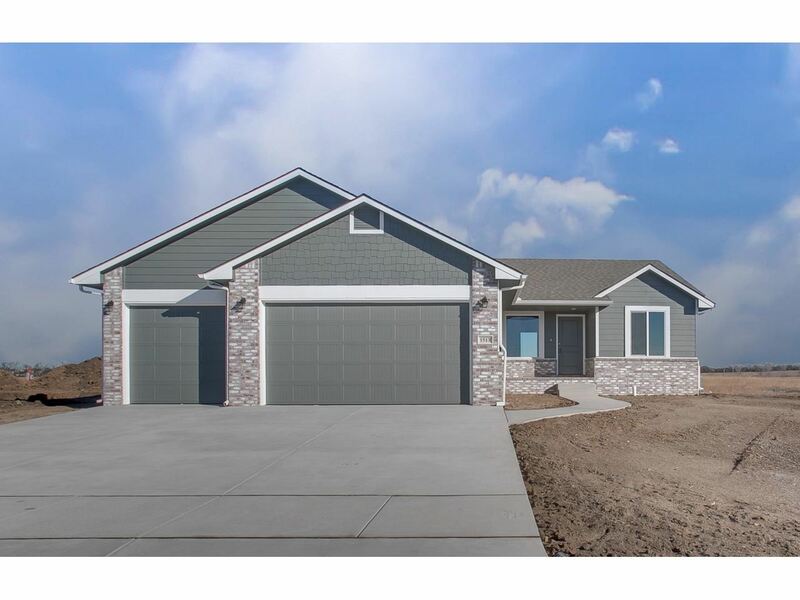 Come take a look at this beautiful, NEW spec home available for sale in the newest phase of Prairie Creek Addition in Andover, KS, by Don Klausmeyer Construction! Andover schools, close to lots of amenities, and just a few minutes drive to Wichita! This open floor plan boasts 3 split bedrooms, 2 baths and laundry on the main floor, and 9' ceilings! The main living area features wood laminate flooring and an open-rail stairway. The kitchen boasts an island with an eating bar, a good-sized pantry, and staggered cabinets with crown molding. The master bedroom has vaulted ceilings, and the master bath will has a large walk-in closet and a double vanity with two sinks! The basement is framed for a fourth bedroom, a rec room, and a rough-in bath, and the garage space is three-car with 8' doors! You can visit our model, open daily from 12-5 (closed Fridays), at 1505 N Aster. More lots available for custom homes including lake lots, daylight, view-out, and cul-de-sac, and more spec homes available, too!